Our holiday home « La Petite Grange » is located in the heart of Pallueyres, a charming hamlet in the French-speaking Swiss Alps, at an altitude of 765 m. It is 1 1/2 hours from Geneva Airport by car and about 2 hours by public transport (train from Geneva Airport and bus from Aigle). There is a bus stop only 10 min. from the house. Pallueyres is south facing and offers stunning views of the Alps. Our self-catering accommodation is ideal for people who enjoy outdoor activities, nature and peace and quiet. « La Petite Grange » is a former 19th century stables converted in 2013 into a comfortable, self-contained, 46 m2 holiday home on two levels. The first floor comprises a well equipped kitchen with electric hob and oven, refrigerator and dishwasher, as well as a small lounge with wood burning stove, opening onto a spacious south-facing balcony. The bedroom is on the ground floor and can sleep four (including one bunk bed). The bathroom is also on the ground floor. We provide towels, bedding and cleaning essentials. The adjacent garden, with its lovely stream, is ideal for children and grown ups. 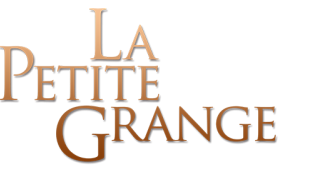 The location of « La Petite Grange » is ideal for touring by car or by public transport, since many famous cultural and natural attractions of the region are within easy reach : the Château de Chillon, the Château d'Aigle, Montreux and its Jazz Festival, the Fondation Pierre Gianadda and the Roman Amphitheatre in Martigny, the Abbey in Saint-Maurice, famous vineyards in Yvorne, Aigle and Ollon, the salt mines in Bex and the ski resorts of Villars-sur-Ollon, Champéry, Leysin and Les Diablerets. Lake Geneva is only 20 min. away by road and offers many activities such as swimming, sailing, fishing or cruising. It also easily accessible by public transport. Many shops, post offices and banks are available within a 10 minute drive or bus ride, either in Ollon or in Villars-sur-Ollon. Villars-sur-Ollon also has an 18 hole golf course, mini golf, bowling, tennis courts, outdoor and indoor swimming pools and an ice-skating rink. Its vast ski resort links with Les Diablerets. Mountain biking is also very popular in the area and a route even goes though the hamlet of Pallueyres. Public buses carry bikes. Last but not least, our vacation rental « La Petite Grange » is an ideal base for hiking in an environment rich in wild life: chamois, roe deer, badgers, martens, to name but a few. Even the lynx has been spotted…. Please do not hesitate to get in touch if you need any further information in French, English, Portuguese or German. We look forward to giving you a very warm welcome in Pallueyres. Book your holiday at « La Petite Grange » now !